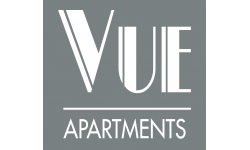 If you’re in the market for a Portland, OR, apartment then The Vue has exactly what you need! We offer a welcoming community that blends scenic landscapes, vibrant culture, and urban sophistication. Come tour one of our studio, one, two, or three bedroom apartments and see why you should call the Vue your new home in Portland! While you’re out and about in the city you may find that Portland offers an incredible amount of places to eat, shop, and even help you work up a sweat! Below are just a few places you can be active at, outside the property. Fulcrum Fitness brings you small group training, one-on-one personal training, team training, and fusion training that combines cycling, barre, and yoga all in one session. Surround yourself with like-minded individuals who want you to succeed just as much as you do, and achieve your fitness goals at Fulcrum Fitness! For more information on what Fulcrum Fitness offers you can head to their site here! If you’re looking for somewhere that incorporates weightlifting, powerlifting, strength and conditioning, and more, then PDX Strength is right where you need to be! They have multiple classes during the day so even if you have a busy schedule you more than likely can find a time to get your workout in at PDX! Head here to find more information about everything that PDX offers! Hyatt Training was voted the “gym in Portland” and for good reason! At Hyatt Training you work one-on-one with an experienced trainer, who provides custom training regiments based off of your needs! If this sounds more like what you’re looking for you can head to their site here, and learn about their free 60-minute consultation! At point and Gym Kitchen they bring you a welcoming gym community and kitchen. You can train one of their group classes or utilize their personal training. When that’s done the kitchen provides nutritional coaching and meals that are properly prepared to help you achieve your fitness goals. For more information on what you can expect from Point Gym and Kitchen, you can check out their site here! Skogg Gym ups the ante with its kettlebell training. Their kettlebell method combines conditioning, strength training, and power development to bring you an unreal total body workout! Skogg Gym also provides an online workout so you can workout from the comforts of your own home! To learn more about Skogg Gym you can check out their website here! These are just a few places where you can find an incredible workout, Portland offers many more, However, don’t forget that you can use our state-of-the-art fitness center if you’d rather work up a sweat seconds from your home! For more information about our Portland Oregon apartments, call us today at (503) 601-6546.